15th Floor, Exchange Square, Bukit Kewangan, 50200 Kuala Lumpur, Malaysia. Bursa Malaysia (MYX: 1818) is an exchange holding company approved under Section 15 of the Capital Markets and Services Act 2007. It operates a fully integrated exchange, offering the complete range of exchange-related services including trading, clearing, settlement and depository services. On 18 May 2015, the MYX joined the United Nations Sustainable Stock Exchanges Initiative (SSE) as part the SSE's regional dialogue in Bangkok hosted by the Stock Exchange of Thailand. Bursa Malaysia (MYX: 1818) was known as Kuala Lumpur Stock Exchange (KLSE, Bursa Saham Kuala Lumpur in Malay) from its founding in 1930 when the Singapore Stockbrokers' Association was set up as a formal organisation dealing in securities in Malaya. The first formal securities business organisation in Malaysia was the Singapore Stockbrokers' Association, established in 1930. It was re-registered as the Malayan Stockbrokers' Association in 1937. The Malayan Stock Exchange was established in 1960 and the public trading of shares commenced. The board system had trading rooms in Singapore and Kuala Lumpur, linked by direct telephone lines. In 1964, the Stock Exchange of Malaysia was established. With the secession of Singapore from Malaysia in 1965, the Stock Exchange of Malaysia became known as the Stock Exchange of Malaysia and Singapore. In 1973, currency interchangeability between Malaysia and Singapore ceased, and the Stock Exchange of Malaysia and Singapore was divided into the Kuala Lumpur Stock Exchange Berhad and the Stock Exchange of Singapore. The Kuala Lumpur Stock Exchange which was incorporated on 14 December 1976 as a company limited by guarantee, took over the operations of the Kuala Lumpur Stock Exchange Berhad in the same year. In 1998, as one of the attempts to weather the 1997 Asian financial crisis, it fully suspended the trading of CLOB (Central Limit Order Book) counters, indefinitely freezing approximately US$4.47 billion worth of shares and affecting 172,000 investors, most of them Singaporeans. On 14 April 2004, Kuala Lumpur Stock Exchange was renamed Bursa Malaysia Berhad, following the demutualisation exercise, the purpose of which was to enhance competitive position and to respond to global trends in the exchange sector by making themselves more customer-driven and market-oriented. It consisted of a Main Board, a Second Board and MESDAQ with total market capitalisation of MYR700 billion (US$189 billion). Bursa Malaysia has since then focused on various initiatives aimed at improving its product and service offerings, increasing the liquidity and velocity of its markets, improving the efficiency of its businesses and achieving economies of scale in its operations. On 18 March 2005, Bursa Malaysia was listed on the Main Board of Bursa Malaysia Securities Berhad with a 17% or RM0.50 premium over its retail price of RM3.00. On 18 April 2005, Bursa Malaysia introduced CBRS, a scheme which allows all investors to access research reports of Bursa-listed companies free-of-charge. In June 2006, Bursa Malaysia and FTSE Group jointly introduced FTSE Bursa Malaysia Index. On 7 November 2006, the index passed the 1,000 mark hurdle and closed at 1,003.28. It was partly boosted by the strong overnight close in the Wall Street. On 10 March 2008, trading on the exchange was suspended for one hour due to composite index fall by more than 10 percent or 130 points to 1166.32 points. This was largely by combination of factors such as the United States subprime mortgage crisis and the political uncertainty caused by the 12th General Election. Dealers expected the move was an over-reaction to the election results and the market will correct itself. The index gained 2.1% the next day on the morning session as investor reinvest in plantation stocks and blue chips. On 3 July 2008, trading on the exchange was suspended for the day when it suffered multiple hardware glitches. The glitches only affected the equities market, not the bonds and commodity market. Trading resumed the next day. Bursa Malaysia is the world's biggest palm oil futures trading hub since 1980. The FCPO, the global price benchmark for the crude palm oil market, is a deliverable contract which is traded electronically on Bursa Malaysia's trading platform. Crude palm kernel futures and crude palm oil futures are primarily traded on Bursa Malaysia in Malaysian Ringgit (MYR) and US dollar denominated contracts. Their codenames are FPKO, FCPO and FUPO, respectively. In August 2009, Bursa Malaysia launched Bursa Suq Al-Sila', the world's first Internet commodities trading platform with crude palm oil (CPO) as its underlying asset that is syariah-compliant. Bursa Suq Al-Sila', formerly known as Commodity Murabaha House, facilitates commodity-based Islamic financing and investment transactions under the Syariah principles of Murabahah, Tawarruq and Musaw-wamah. Under the Bursa Suq Al-Sila concept, the bank buys a commodity from a supplier such as a CPO producer at a principal amount, and sells it to a customer at a profit. The customer then sells back the commodity to the spot market for cash. This initiative is spearheaded by the Malaysia International Islamic Finance Centre. Operating round the clock, the CME Globex trading system is at the heart of CME. Proposed in 1987, it was introduced in 1992 as the first global electronic trading platform for futures contracts. This fully electronic trading system allows market participants to trade from booths at the exchange or while sitting in a home or office thousands of miles away. When Globex was first launched, it used Reuters' technology and network. September 1998 saw the launch of the second generation of Globex using a modified version of the NSC trading system, developed by Paris Bourse for the MATIF (now Euronext). To connect to CME Globex, traders connect via Market Data Protocol (MDP) and iLink 2.0 for order routing. Jakarta Futures Exchange launched trading of physical crude palm oil (CPO) contracts in June 2009. Indonesia's Deputy Minister of Agriculture and Fisheries at the Coordinating Ministry for the Economy, Bayu Krisnamurthi, had emphasised that a physical market must be established before futures trading can begin. In October 2009, Indonesia plans to facilitate trading of crude palm oil and other raw materials on the Indonesia Commodity & Derivatives Exchange (ICDX). In spite of being the world's largest producer, Indonesia has been unable to set a palm oil benchmark price, with trading centred in neighbouring Bursa Malaysia in Kuala Lumpur. The Jakarta Futures Exchange, which was launched in 2000, started by offering crude palm oil and coffee futures but trading was "dormant" as operators have preferred to trade the palm oil contracts in Malaysia and coffee futures in London and New York, according to Edi Susmadi, a director of JFX. He attributed the failure to competition from Bursa Malaysia, and the low tech trading system. Max Ramajaya at Wilmar International, the world's largest processor of palm oil, said: “When you trade on MDEX [Bursa Malaysia] you have better access to information about the market and more insight. Back in June 2007, Singapore launched the Joint Asian Derivatives Exchange's (JADE) US dollar-denominated CPO futures contract. JADE was a joint venture between the Chicago Board of Trade (now CME Group) and the Singapore Exchange (SGX). The aim was to provide a fair and transparent platform for price discovery in CPO and allow traders to buy JADE CPO futures and CBOT soyabean oil futures concurrently to manage their edible oils price risk. However, the JADE CPO futures failed to sustain. CME Group, which acquired CBOT and inherited its investment in JADE, sold its 50% stake to SGX in late 2007. According to reports, both the rubber and CPO futures offered by JADE have failed to attract volumes. JADE merged with the Singapore Commodity Exchange in 2008. ↑ "Bursa Malaysia About Page". Bursa Malaysia Berhad. Retrieved 3 February 2016. ↑ "Tun Mohamed Dzaiddin Abdullah stepped down as Bursa Malaysia chairman in 1 March 2015". Bursa Malaysia Berhad. Retrieved 9 January 2015. ↑ "Bursa Malaysia appoints Datuk Seri Tajuddin Atan as new CEO". Bursa Malaysia Berhad. Retrieved 1 April 2011. ↑ "South East Asian Capital Market Leaders Pursue Sustainable Business Agenda". SSE Initiative. SSE Initiative. Retrieved 23 May 2015. ↑ "Bursa Malaysia history". Archived from the original on 19 April 2007. 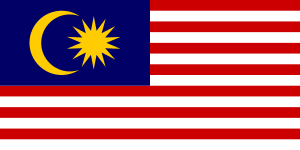 ↑ "INVESTMENT IN MALAYSIA". Asia Times. Retrieved 10 December 2012. ↑ "INTERNATIONAL BUSINESS; Malaysia Extends Deadline in Singapore Exchange Dispute". New York Times. 1 January 2000. Retrieved 10 December 2012. ↑ "Malaysia's stockmarket; Daylight Robbery". The Economist. 10 July 1999. Retrieved 10 December 2012. ↑ "Trading on Bursa suspended". Business Times. ↑ Surin Murugiah. "KLCI best performer among regional indices at midday". The Edge. ↑ Cindy Yeap (3 July 2008). "Bursa Malaysia announce "surprise and rare" trading halt". The Edge. Archived from the original on 6 July 2008. Retrieved 3 July 2008. ↑ Palm Oil Futures Trading in Malaysia Archived 20 November 2008 at the Wayback Machine.